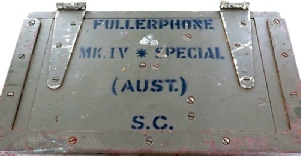 The Fullerphone Mk.IV * Special (Aust) and associated Unit Fullerphone, Long Range (Aust. )*) were developed and produced for operation over long and noisy lines by improving the signal to noise ration. The principle of this method was to increase the signal current in the line by means of additional cells at each instrument, and to reduce the strength of the received signal to the normal value by means of a potentiometer across the telephones. The noise level was also reduced by the potentiometer to such an extent that it no longer gave rise to serious interference. 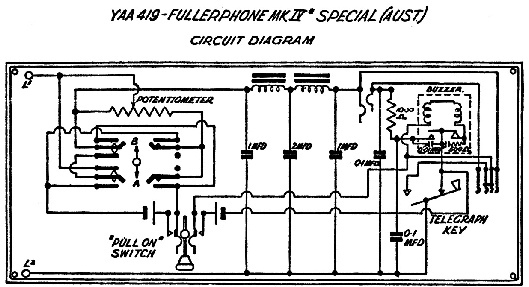 The Unit Fullerphone, Long Range (Aust.) 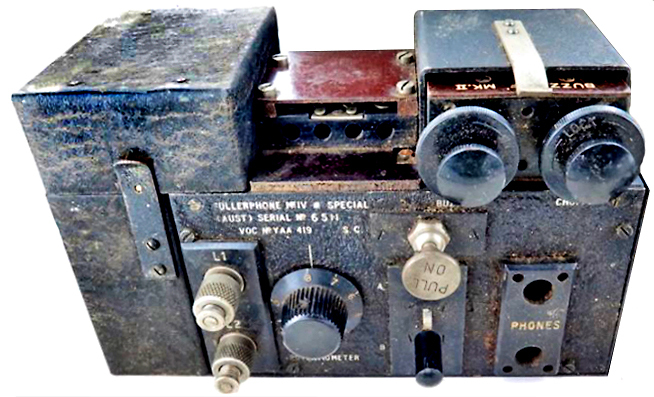 was a box which contained eight 1½ Volt cells, a line voltage selector switch and a 50Ω potentiometer, connected to a standard 4-point plug which could be inserted in a standard 4-point socket fitted to a modified Fullerphone Mk.IV. *) I never encountered this unit, and no museum has one in their collection as far as could be traced.